For the second year in a row, L'Oreal Excellence Crème is now the top choice among experts and users alike. 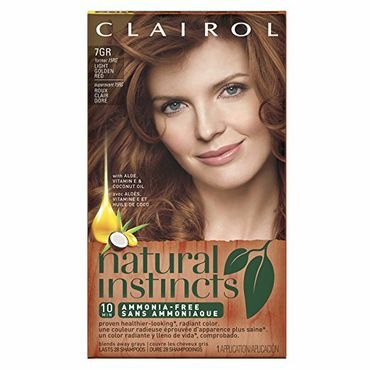 Clairol Natural Instincts is the top non-permanent hair color. 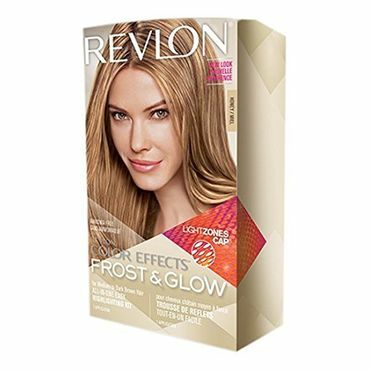 Revlon Color Effects Frost & Glow is our pick for at-home highlights. If you want to touch up roots between hair colorings, Clairol Nice 'n Easy Root Touch-Up does an excellent job. L'Oréal Excellence Crème earns props from both users and professional hair colorists thanks to its easy-to-follow instructions, quality ingredients, and variety of color options (38 shades). Reviewers say the thick, creamy texture and comb applicator are the perfect combination to ensure that all your hair is covered consistently for rich, full-coverage results without patchiness -- even coloring stubborn, hard-to-cover grays. Reviewers say Clairol Nice 'n Easy Root Touch-Up does an excellent job of covering up gray or natural roots. It blends in flawlessly with color-treated hair, to buy you an extra two to three weeks between hair colorings. It's available in 28 shades, with an online tool to help you match hair colors from other brands. Clairol Natural Instincts aces professional tests -- and earns loyal followers among users -- thanks to its glossy, fade-resistant color. It's a demi-permanent formula, which is gentler than permanent hair color but lasts longer than semi-permanent ones (through 28 washes, Clairol says). Reviewers say it leaves hair feeling soft and has a pleasant fruity scent. It's available in 36 shades. For concealing roots on-the-go, expert testers prefer Color Wow Root Cover Up powder. 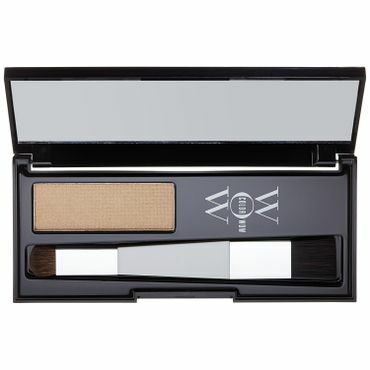 Packaged like an eyeshadow with a brush, Color Wow's charged particles cling to hair (not scalp) and won't wash off until your next shampoo, nor will it leave a powdery residue on pillowcases or clothing. Users say it's mess-free and non-obvious, perfect for emergency touch-ups. Highlighting your hair at home can be tricky, but users say Revlon Color Effects Frost & Glow truly delivers salon-like results. It's available in three shades (honey, blonde and platinum) and comes with a pull-through cap that allows you to highlight just the strands you want. Users say the ammonia-free formula is gentle on their hair. 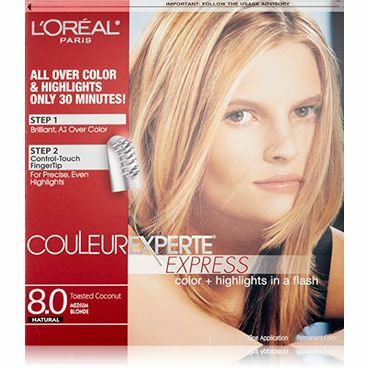 If you'd like to color your hair and add highlights too, reviews say L'Oréal Paris Couleur Experte is your best bet. Each box includes a base color (there are 10 shades) and a coordinating highlight color. It's a two-step process -- first you color your hair, then you paint on highlights with the included fingertip brush -- and experts and users say the results look fantastic. This is the only type of hair color that can dramatically lighten hair. It strips the hair's natural color away and opens the hair's cortex to deposit a completely different color. The vast majority of hair-color kits at the drugstore are permanent colorants. Most use ammonia to open the hair cortex. One of the drawbacks of permanent hair color is that after a few weeks, you're sure to see the telltale signs of your natural or gray roots peeking through. Root coloring products can help stretch how long your permanent hair color lasts. Non-permanent hair color falls into two broad categories: Semi-permanent and demi-permanent. Semi-permanent hair color stains the outside of hair with dye that largely washes off after four to 10 shampoos. Demi-permanent hair color is used to match or deepen hair color, and to cover grays. It penetrates the hair's inner cortex (like permanent dye), but it can't lighten hair much. However, it lasts longer than semi-permanent color. Home hair-highlighting kits are not for the faint of heart. Highlighting hair is a more difficult and time- consuming process than single-process color, even for professionals. But as long as you're not looking for anything drastic and simply want to brighten up your look, hair-highlighting kits make it possible to do your own highlights at home. 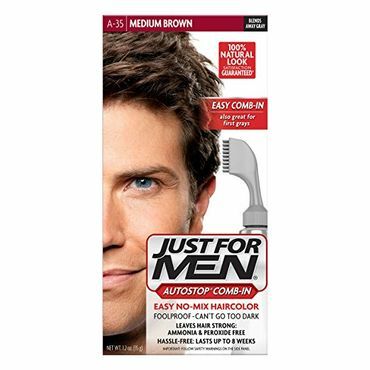 Although most hair color products are aimed at women, you'll find a handful of them specifically for men. Of course, men can also use hair products that are marketed to women. It all comes down to preference. Is at-home hair coloring as good as professional hair dye? Hair stylists are likely to say that the best hair color comes from professionals. Although this is true in some cases -- for example, if you're making a radical change in your hair color -- plenty of people have success dyeing their hair at home. According to experts, the hardest part of coloring your hair might be choosing the color you want. To be safe, they recommend going no more than two or three shades lighter or darker than your natural hair color when dyeing your own hair. Make sure to match your hair color to the chart on the side of the box -- that's a better indicator of the color you'll get than the model pictured on the front of the box. Also, if your hair is severely damaged, professional hair color is your best bet for avoiding more damage. But for everyone else, expert and user feedback says that a $7 drugstore hair coloring kit is a perfectly fine option. Hair dye comes in a multitude of shades and strengths, both of which are described in entirely different ways at the salon than they are at the drugstore. For the purposes of this report, we focus on at-home hair color, which comes in three strength levels: semi-permanent (level one), demi-permanent (level two) and permanent (level three). What's most confusing about drugstore hair colors is that companies do not label their products in a consistent manner. Semi- and demi-permanent products, for example, are often labeled as "non-permanent." But the terms aren't exactly interchangeable, as the two types differ in how they color hair and how long they last. "Touch-up Root Hair Color Review"
"The Best At-Home Hair Color That Will Hold Up and Look Great"
Getting good results from at-home hair color is possible if you choose the right product and shade for your needs. We found expert recommendations from professional hair colorists at Elle, WebMD and Today, beauty editors' top picks at InStyle and Allure magazines, and head-to-head tests comparing the performance and fade resistance of hair color products at Consumer Reports, Good Housekeeping and The Cut. For opinions on real-world results, we turned to thousands of user reviews on sites like Amazon, Ulta, Target, TotalBeauty and MakeupAlley. We combine feedback from professionals and expert tests with user feedback to come up with our recommendations on the best hair color, the best non-permanent hair color, the best root touch-up and temporary root coverage products, as well as the best hair color products for highlights. 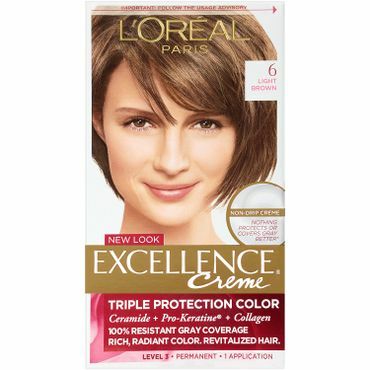 According to experts and users, L'Oreal Excellence Crème (Est. $8) is the top choice among permanent hair color products. Professional hair colorists say this line of home hair color comes in a variety of options (a choice of 38 shades), has clear instructions and top-quality ingredients. Plus, it's great for covering grays. Hundreds of users on sites like MakeupAlley (where reviewers tend to be highly discerning), Ulta and Amazon say it's easy to use and creates rich, natural-looking color. Several users say it's especially good for emergency touch-ups and offers excellent coverage, even for stubborn grays. The comb applicator is also a hit, and users say that it makes it easier to ensure that the thick, creamy color is evenly distributed throughout your hair for better, more consistent coverage. L'Oreal Excellence Crème is a Readers' Choice Award winner at TotalBeauty – and a favorite at-home kit of hair care pros. "It's easy to mix and use," colorist Maisha Cogle tells Today. "It gives great coverage and results with rich tones plus the additional benefit of conditioning." Cosmetics chemist Ni'Kita Wilson likewise recommends L'Oreal Excellence Crème at WebMD because it's relatively gentle on the hair, "with conditioning treatments to help offset the damage of the coloring process." There are a few detractors, however, who say that their hair color didn't last as long as expected, with some users reporting dullness and fading within three to five weeks. On the other hand, other users say their color lasts for several months before showing any signs of fading or brassiness. A few users also say they didn't notice a difference in their hair color after using this product, although this is sometimes a result of choosing the wrong shade. Editors at Good Housekeeping name Clairol Nice 'n Easy (Est. $8) one of the two best hair color products for blonde hair. Editors say that most of the hair color products they tested for blondes produced mediocre results, but Clairol Nice 'n Easy stood out for its excellent fade resistance and shine retention -- and it's also great for covering gray hair. On the downside, they note that it has a strong chemical smell. Clairol Nice 'n Easy also earns accolades from InStyle magazine's editors, who named it the best single-process color in their 2016 Best Beauty Buys awards. Clairol Nice 'n Easy, which comes in a choice of 54 shades, also earns historically positive feedback from users across sites like Amazon, Target, MakeupAlley and Ulta. However, Clairol reformulated Nice 'n Easy in December 2017, and feedback on the new version is limited. That said, a few early users at Amazon.com have commented that the new formula dyes hair darker than the old version. Another popular option, particularly if you prefer a creamier texture to work with, is Garnier Nutrisse Nourishing Color Crème (Est. $7), which comes in more than 50 different shades and is a perennial favorite of users at Amazon and Ulta. Reviewers say it's easy to use and creates a rich, natural-looking color. Several users say it lasts longer and has a more pleasant scent than most permanent hair color. However, some recent reviews at Target, Amazon and MakeupAlley complain that the color came out blotchy, way different from the promised shade, or that it fried their hair, and they wonder if Garnier has changed its formula. If you don't mind spending a bit more and find the liquid and cream hair color formulations difficult to work with, you might consider John Frieda Precision Foam Colour (Est. $11), which has a thick foam consistency designed to penetrate hair strands and spread easily to the roots and other hard-to-reach areas for consistent, non-patchy coverage. Reviewers at Amazon and Target give John Frieda Precision Foam Colour high ratings, noting that it's easy to apply and mess- and drip-free while it develops, leaving shiny, healthy hair with rich color. Celebrity colorist Moiz Alladina especially recommends John Frieda Precision Foam Colour for long, thick hair, because the foam is particularly quick to apply. It comes in 17 shades. To keep growing roots from spoiling the look of your hair color prematurely, Clairol Nice 'n Easy Root Touch-Up (Est. $13 for two) gets great reviews from experts and users alike. InStyle magazine named it the best root touch-up product two years in a row. New York City hair colorist Simone Pearl Mangano tells Elle that Clairol Nice 'n Easy Root Touch-Up is a "reliable standby" for those hectic times when it's difficult to make it to the salon, and celebrity colorist Rita Hazan praises it in a review for Today for its easy application. Users couldn't agree more: Nice 'n Easy is by far the favorite root touch-up kit at Ulta, Target and Amazon. Hundreds of reviewers rave about it, noting that the results are indistinguishable from salon hair color treatments. Most reviewers say they touch up their roots with Clairol Nice 'n Easy Root Touch-Up every two to three weeks, which extends the time between expensive salon visits. Because it takes just 10 minutes, it's easy to fit a root touch-up into a busy schedule, and it works for covering up stubborn grays, as well. The touch-up kit is available in 28 shades that blend in seamlessly with your base shade, according to users. 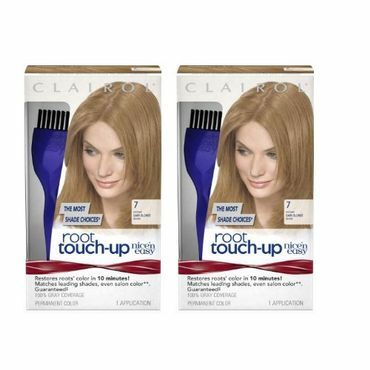 Clairol also provides an online tool that helps you match Root Touch-Up shades to those of leading brands. Another option is the L'Oreal Paris Root Rescue 10 Minute Root Coloring Kit (Est. $10), which comes in nine shades and, like Clairol Nice 'n Easy Root Touch-Up, takes just 10 minutes. It doesn't have the same volume of reviews as Clairol Nice 'n Easy, but it does earn a good overall rating from hundreds of users at Amazon. Praise isn't as consistent for this root touch-up kit, though, with some reviewers saying the color didn't match their hair color well, and others complaining that there's not enough product in the kit to completely cover their roots. Most reviewers, however, say it's easy to apply, covers most grays, and that the color lasts for a few weeks. Most experts warn that color-processed hair picks up new color faster than natural hair. It's important to apply new color directly to your roots only. To blend and boost the color of the rest of your hair, comb the color through to the ends a few minutes before rinsing.